LAHORE: In a tragic turn of events, Sri Devi Kapoor, also known as the first superstar of India, passed away due to cardiac arrest in Dubai. Sri Devi’s brother-in-law, Sanjay Kapoor confirmed the news of her death to the media while he was heading to Dubai. Her husband, producer Boney Kapoor and daughter Khushi Kapoor were by her side during her last moments. While the world is still at loss for words, many local celebrities took to social media to share their grief and extend their condolences to the late actor’s family. Sajal Aly, who played Sri Devi’s daughter in her Bollywood debut, Mom, shared a picture of the two on Instagram with the caption, “Lost my mom again…” Aly, also lost her own mother to cancer last year. “R.I.P legend, we’ll miss you,” wrote Saba Qamar who shared a picture of her and the late actor from the Masala Awards held last year in Dubai. “Mein khawabon ki shehzadi…Mein hun har dil has per chayee. Indeed. RIP Sri Devi. You’ll always have our hearts, grateful to have met the legend that you’ll always be,” Mawra Hocane, wrote alongside a picture of the two from the Masala! Dubai awards. This is so so sad. 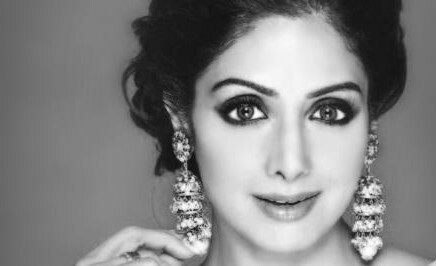 #SriDevi was a legend, an inspiration and one of the finest actresses in Hindi cinema. She is gone too soon and has taken a bit of our youth with her. Rest in peace, beautiful woman. It is indeed a sad day for both the Pakistan and Indian film industry.